Prepare cookie mix according to package instructions. 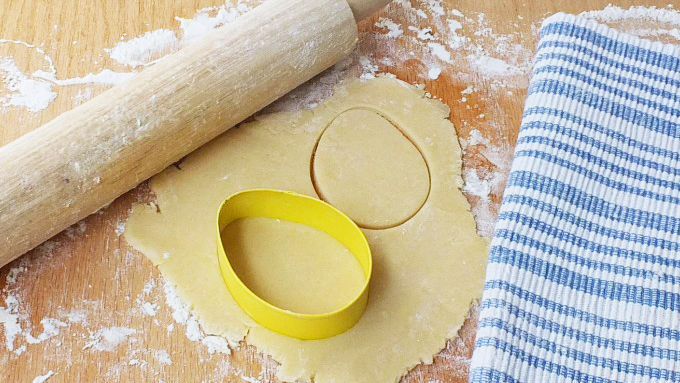 Roll dough and cut out into oval shapes using an oval cookie cutter. Bake 7-9 minutes at 375°F. Cool cookies completely before decorating. 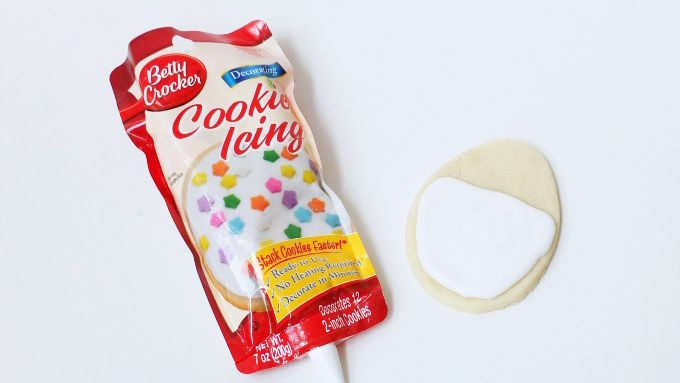 Using the white cookie icing pouch, pipe icing on the bottom half of the cookies. Let dry completely. After the icing is completely dry, approximately 5 hours or overnight, color in the blue horizontal stripe with the blue edible marker. 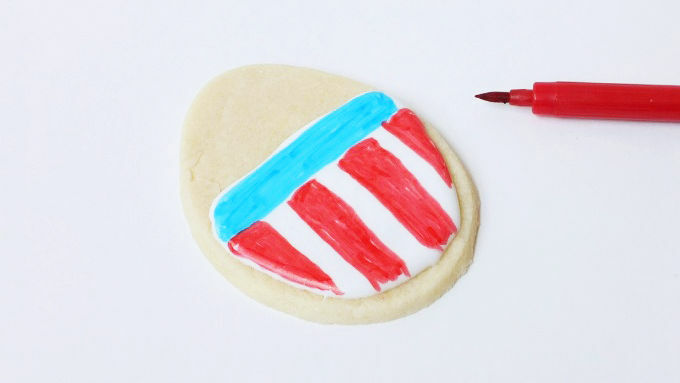 Add the red vertical stripes to the bottom of the cookie using the red edible marker. 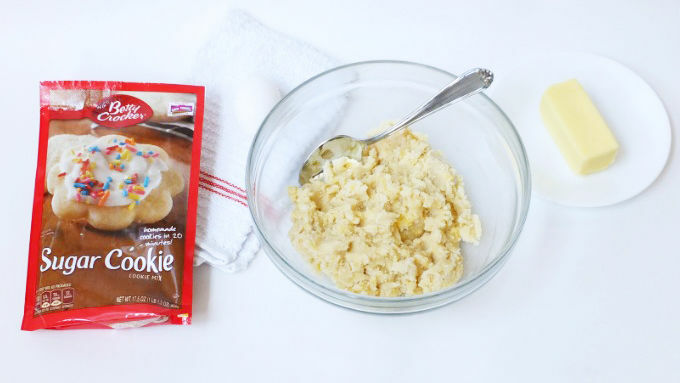 Attach white star sprinkles to cookie with a toothpick dipped in cookie icing. Attach 2 white chocolate chips for the ears and the red sprinkle star for the nose with the cookie icing. 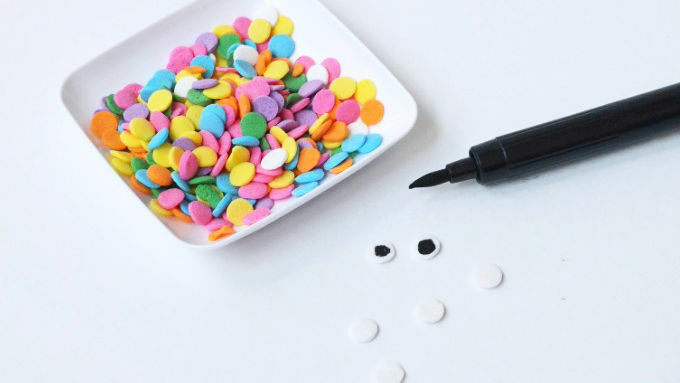 Draw black eyes on the white confetti sprinkles with a black edible marker. Attach with white icing. Using the black edible marker, draw in mouth and whiskers. 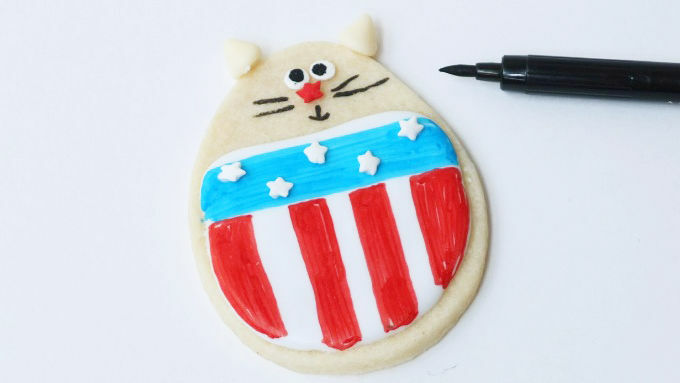 Sugar cookies decorated to look like patriotic cats are a fun party treat everyone will love! My husband loves the 4th of July. I mean, it’s his FAVORITE holiday. He is literally known throughout the county because of his fireworks display—I kid you not. Disneyland ain’t got nothin’ on us. But I decorate another way—with food. 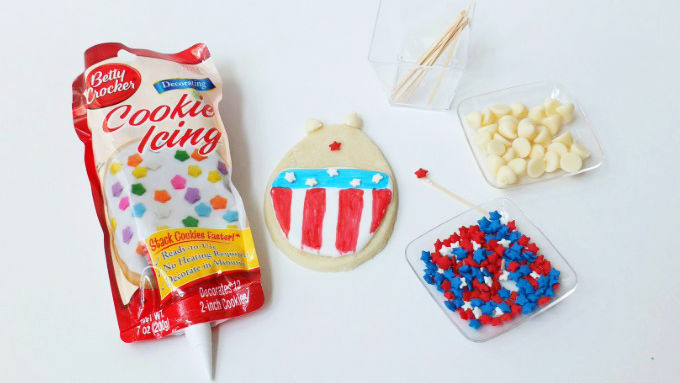 I love getting into the theme of things and making red, white and blue cakes, cookies, chips, dips, drinks, treats and other eats. The favorite cookie on the 4th at our house? 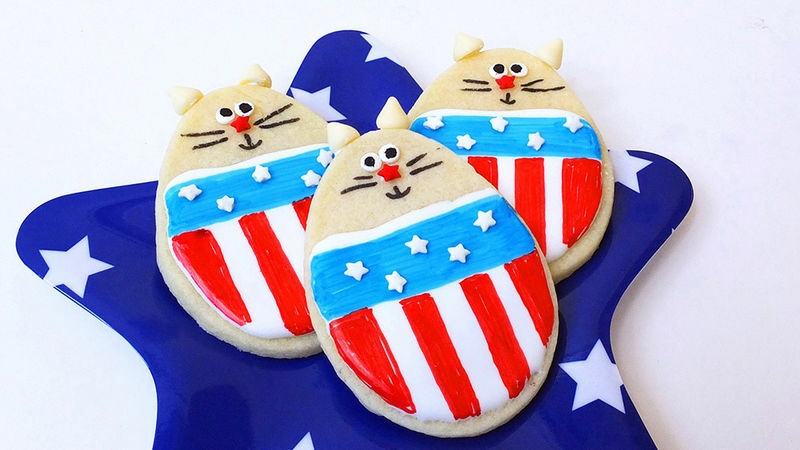 My patriotic cat cookies—they’re exploding with cuteness! Happy 4th of July!